Lenovo will launch the Z5s on December 18 in its hometown China. Lenovo Z5s is the latest mid-range smartphone which the Chinese smartphone manufacturer is expected to bring for the masses this month. 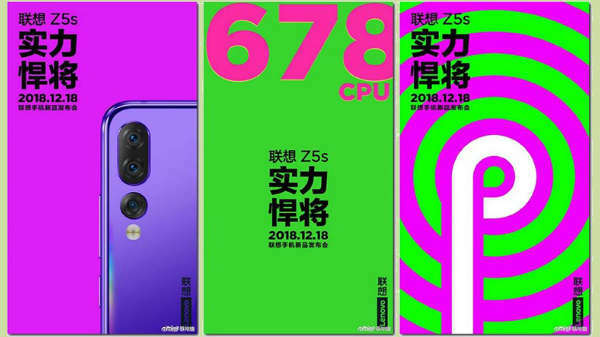 Lenovo has already teased the upcoming Lenovo Z5s on Weibo where it had revealed that the device will be released on December 18th 2018 in company's hometown China. Earlier the smartphone was slated to launch on December 6, however, the company had delayed the release date of the device. Besides the launch date, the teaser also showcased the design of the Z5s. Now, the Z5s has been suggested again by a new teaser highlighting the hardware of the device. The Lenovo Z5s has been teased once again on Weibo and this time it is not just the design that is being highlighted, the latest teaser reveals some information on the expected specifications and features that the device will offer. The latest teaser shared on Weibo suggests that the Lenovo Z5s will make use of a mid-range Snapdragon 678 chipset. The teaser didn't reveal the RAM with which the Snapdragon 678 processor will be paired. 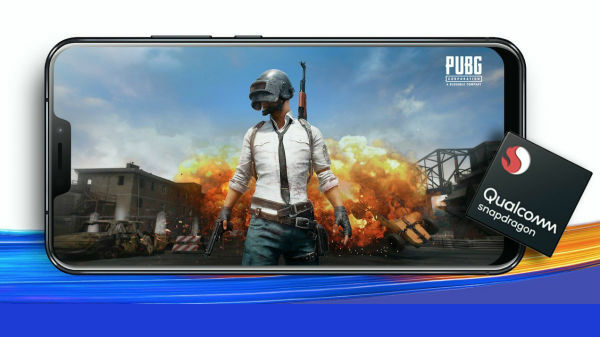 However, the teaser does reveal that the smartphone will ship with Android 9 pie straight out-of-the-box. This is the only primary information which has been shared via the teaser on Weibo. Some of the other leaks and rumours surrounding the Lenovo Z5s gives us a fair idea about the expected specs and features which the device will pack. A recent TENNA listing of the Lenovo Z5s hints that the device will flaunt a big 6.3-inch display panel which will have an aspect ratio of 18:9. The Z5s will utilize a triple-lens rear camera module which is expected to be stacked vertically at the back panel. The Lenovo Z5s will also feature a rear-mounted fingerprint scanner for device protection. The aforementioned complete package is said to be backed by a small 3,210mAh battery unit.